The first set of projects were from the winners of a recent hackathon at the MD5 National Security Technology Accelerator (NSTXL), a public private partnership between the Department of Defense and NYU. The hackathon was held in New Lab in Brooklyn and focused on tech solutions for humanitarian aid and disaster relief to help first responders. 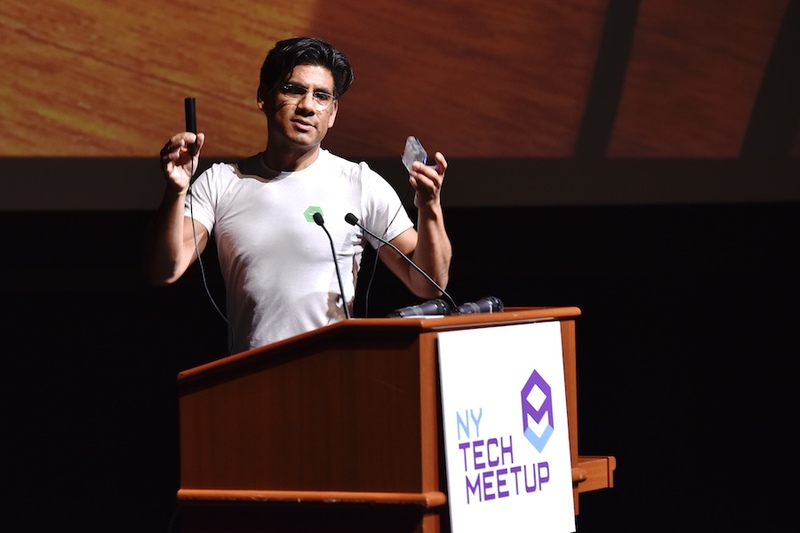 Marvin Alvarez, Marine Corps veteran and leader of the VisualOps team, presented a RaspberryPi based mobile WiFi mesh network device. The product creates a dynamic local network in disaster stricken areas that connects smartphones over Bluetooth and provides a native operational management platform for coordinating streams of tasks across teams in the field.